I believe the Holy Scriptures to be the inerrant Word of God, inspired by the Holy Spirit and fulfilled in Christ Jesus, our risen Lord and Savior. Therefore, I have faith that children are exactly what God tells us they are in His Word: a heritage to receive from Him. Children are not a prize for me to earn, a commodity for me to demand, nor an idol for me to worship. They are a gift which my Heavenly Father only has the privilege to bestow and to withhold. If God makes me a mother, then I can receive His good gift of a child with all joy and confidence in His love for me. If God does not make me a mother, then I can still know with all joy and confidence that God loves me completely in His perfect gift of the Child Jesus whose sacrifice on the cross atoned for my sin and reconciled me to my Heavenly Father. I am God’s own child, purchased and won by the blood of Jesus, and God promises in His Word that He will work all things - even my barrenness - for my eternal good. For this reason, I can in faith confess that my barrenness is a blessing. Andy Bates and Sarah Gulseth of KFUO’s The Coffee Hour invited me to chat with them today about the gifts God gives and withholds. If you are still feeling raw from Mother’s Day, I hope you’ll have a listen. 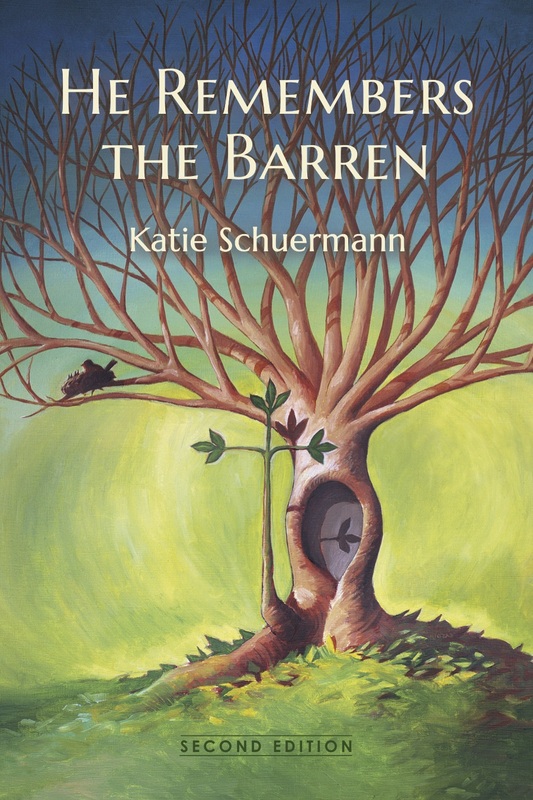 Posted in Grief, How to Care for the Barren, Infertility, Suffering on May 17, 2018 by Katie Schuermann. I know you are tempted not to go to church tomorrow, but please do. Jesus wants to give you the gifts of His Word and Holy Supper there, and His gifts are far better than any old carnation or corsage or greeting card. Yes, you may have to endure the awkward, faltering “Happy Moth– Oh, I’m sorry” greeting at the door, but you will be fine. Just remember how many times you have misspoken to people, and thank God that He forgives both you and them. You may grow red-cheeked before the tongue-tied usher handing out carnations, but red looks good on you. The man understandably doesn’t know what to say in the face of your childlessness, so rejoice in his recognition of your plight. Graciously give him a polite smile and nod of the head, and move on for both of your sakes. You may very well be shamed and shunned by the pastor’s preservice announcements, children’s message, and sermon anecdotes, but there are worse things to endure in this life. You know it is true, for you, with God’s help, have already endured them. Mother’s Day shenanigans in the Divine Service are nothing compared to the death of your children. This too shall pass. You also may cry during the service, but you will not be the first nor the last to do so. The Church is made up of cross-bearing criers, and you have nothing to hide. No one will begrudge a barren woman tears on Mother’s Day. Just be prepared to grab the tissues that are passed your way, and welcome them as the gift of love that they are. Forgive us, renew us, and lead us, so that we may delight in Your will. I believe in Jesus Christ…who was conceived by the Holy Spirit. I will sprinkle clean water on you, and you shall be clean from all your uncleanness, and from your idols I will cleanse you (Ezekiel 36:25). As each has received a gift, use it to serve one another (1 Peter 4:10). This is My commandment, that you love one another as I have loved you. Greater love has no one than this, that someone lay down his life for his friends (John 15:12–13). He recalls His promises and leads His people forth in joy with shouts of thanksgiving. Alleluia, alleluia. Go to church so that you do not miss out on what really matters: receiving Christ’s gifts. Being thus refreshed, I think you will find that you can celebrate your sisters’ joys, and they, in turn, will learn to bear your burdens. This is what we do. Together. Even tomorrow. 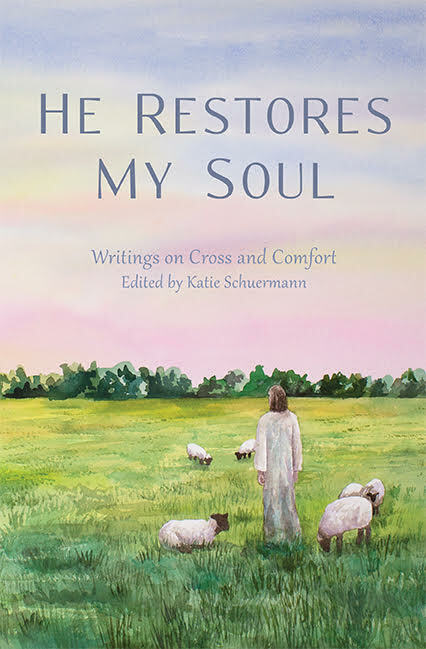 Posted in Church, Grief, Infertility, Suffering on May 12, 2018 by Katie Schuermann. Posted in Abortion, Adoption, Church, Grief, How to Care for the Barren, Marriage, Miscarriage, Parenting, Suffering on March 13, 2018 by Katie Schuermann. She waited in line for thirty minutes to get her book signed. I did know, and her empathy comforted me. I set down my pen and took her hand in mine. In that moment, I didn’t feel so alone in my barrenness. It’s only joy when a woman in her seventies tells me this. I know that she is neither trumpeting her gift nor exhorting my empty nest. She is simply telling her story, often after years of self-induced silence. “God be praised!” I smiled. I staid my lips. I had heard similar stories from mothers across the country, but similarities are not what matter most in these moments. What matters most is listening to and bearing this particular mother’s pain. I felt her next words coming before they left her lips. I hear them often. They are the Song of Sarah. Me in my childlessness, and she in hers. I signed her book, and we parted ways. Posted in Adoption, Grief on January 14, 2018 by Katie Schuermann.